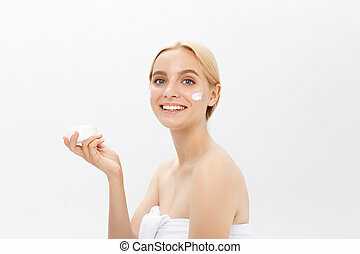 Beautiful skin woman with white background. Beautiful young woman pinching healthy skin on cheek showing elasticity, isolated. 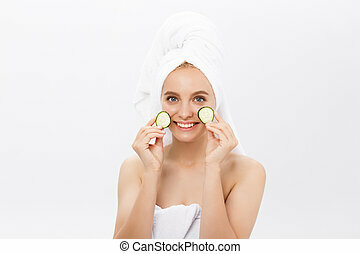 Beautiful skin woman face closeup healthy and beautiful female spa and cosmetic concept.